Home › About the IELTS Exam › IELTS Registration › Is it Possible to Take the IELTS on Computer? We seem to live in a golden age of computer-based testing. With so many standardized tests onscreen, is it possible to take the IELTS on computer? The answer, for more and more test-takers worldwide, is yes. The British Council is opening and sponsoring an increasing number of IELTS computer-based test locations around the world. Some of these computer-based IELTS test sites serve all test-takers. The computer-based testing sites are available to anyone who needs to either take the IELTS Academic exam or the IELTS General Training exam for any reason. At certain other locations, you can take the IELTS on computer only if you are specifically applying for a UK work, school, or residency visa. Where can you take the IELTS on computer, even if you’re not applying to UKVI? 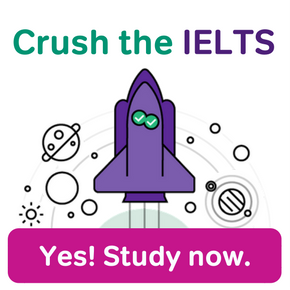 Right now, the IELTS seems to be steadily expanding its network of open computer-based-testing sites that are available to all test-takers. At the time of this writing, anyone may take a computer-based test in the locations listed below. Locations are listed by continent/region and then country. When a country only has computer-based IELTS in a select city or cities, those locations are noted in parenthesis. Where can you take the IELTS on computer, but only for IELTS UKVI? People applying for United Kingdom Visa and Immigration (UKVI) can take the computer based IELTS along with other test takers at any of the locations above. There are also some additional places in the world where UKVI applicants (but not other applicants) have access to the computer-based IELTS. However, these UKVI-only computer-based IELTS locations really are quite restricted. Not only are the locations listed below available only to UKVI applicants, they are also limited only to IELTS Academic testing. IELTS Academic, as you may know, is used by UKVI only for international student visas or medical professional certification. IELTS General Training, used for all other UKVI visas, are not available at the UKVI-only testing locations. Bangladesh, Brazil, China, India, Japan, Kuwait, Malaysia, Nigeria, Pakistan, the Philippines, Saudi Arabia, South Korea, Taiwan, Turkey, Vietnam, the UAE and the UK. So, can you personally take the IELTS on computer? Look again at the two lists above. Between computer-based IELTS availability for UKVI IELTS Academic and computer-based IELTS availability for all other test-takers, the non-paper IELTS is very widely available. You’ll need to double-check those countries and cities to be sure, but if you’re reading this, you just might have access to the IELTS on computer. Even if you don’t have the ability to take the IELTS on computer right now, the makers of the test are expected to extend computer-based IELTS to more of the world in the near future. For updates, keep an eye on the official computer-based IELTS UKVI site and the official IELTS on Computer web page. 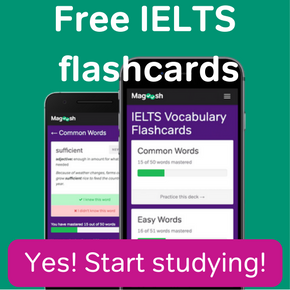 I’ll update this Magoosh IELTS Blog article as needed too, of course! How is the IELTS Computer-Based Test Different from the Paper IELTS? 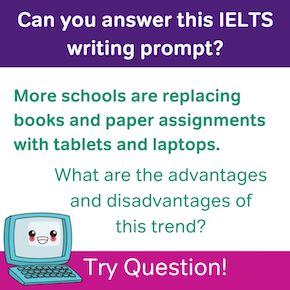 The computer-based IELTS isn’t different from the paper one in terms of questions and content. In either form of the IELTS exam, you have the same sections (Reading, Listening, Writing and Speaking). The only difference is that on the computer-based exam, three of the four sections are completed on computer rather than on paper. On both exams, the Speaking section is an interview, conducted by a real person. Still, testing on a computer feels a lot different than taking the IELTS on paper. So if you are eligible for the computer-based IELTS and are thinking of taking it, practice accordingly. As part of your practice for the computer-based IELTS test, be sure to check out the official sample test questions for IELTS on computer. This practice website includes practice passages and questions for IELTS Listening, IELTS Reading, and IELTS Writing. The question pages mimic the software from the real computer-based IELTS too, of course! Speaking of the IELTS test software, the computer-based IELTS has many really neat features. You can go back to review and change your answers. You can also highlight text, take onscreen notes, and more. Be sure to check out the instructional videos for computer-based IELTS on the official IELTS YouTube channel. Here is the computer-delivered IELTS video playlist. 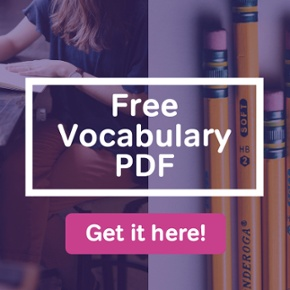 Admittedly, there isn’t much material available specifically for computer-based IELTS practice right now. To supplement the questions I linked above, use practice questions from IELTS websites and software, rather than practicing with printed materials. And type your answers into a digital document or onto a web page. How widely available will the IELTS Computer-Based test be in the future? The British Council has been steadily adding IELTS computer-based testing stations worldwide since 2016. However, they haven’t specified which countries will get the computerized IELTS next. Still, it seems safe to assume that the computer-based IELTS will continue to become more and more common in the years to come. Nearly all standardized testing is moving from paper-based to computer-based. The IELTS is likely to follow this trend in the next decade. 4 Responses to Is it Possible to Take the IELTS on Computer? Is the computer-based writing module corrected by a computer or evaluated by a teacher manually? The computer-based module is still corrected manually by a human instructor. Also, while this isn’t related directly to your question, the computer-based IELTS is now much more widely available. I’ll be updating this article later this week. In the mean time, check out these updates directly from the makers of the exam. You’ll have to find the nearest test location that offers the computer-based IELTS and book with them. Good luck!